Unlimited web hosting packed full of great hosting features, from only £2.49 per month. 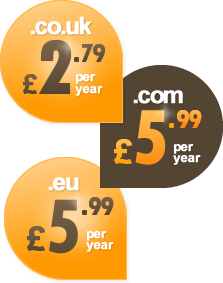 Great value domain names from only £2.79 per year. Get yours now. Dedicated servers for even the most demanding of websites. From only £79.99 per month.